NAVIGATION, BLUETOOTH, SUNROOF, LEATHER HEATED SEATS, DIESEL AND MUCH MORE!If you're looking for a deal this 2012 Volkswagen Jetta is the car for you! This car is priced to sell, but that doesn't mean it isn't packed with features! In fact this Jetta comes with a sunroof, navigation and leather seating! So get here quick before this deal gets snapped up by someone else!Call or email today to schedule a test drive to experience all that this fantastic vehicle has to offer! All vehicles undergo a 112 point Certified Pre-Owned Inspection, full detail, and comes with a full BC Certified CarProof. We love trade-ins, offer in-dealership financing, no payments for up to 6 months (oac), the lowest possible finance rates (oac), and vehicle insurance services in dealership. Our Sales Staff complete vigorous customer experience training and are ready to take care of all your needs and give you the best possible car buying experience in BC. 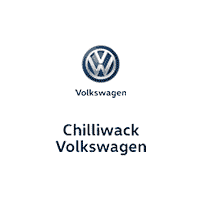 Come see why we are the highest Rated Volkswagen Dealer in BC by DealerRater. All prices are net of all discounts, promotions. All prices are plus $697 admin fee and taxes.